Thank you for listening to my inaugural podcast of "Feel Good Running." This episode gives you a description of the podcast and what to expect in each episode. This podcast is for the everyday runner. Those of us who go out and run for our own personal reasons. I hope to inspire, motivate and entertain you with the content and guests. I felt it was important that you get to know a little about me and that I a little bit of a running background. I've run 101 marathons, a 50 State plus DC certified marathon finisher, a RRCA certified running coach, the Co-Race Director of the Maui Marathon in Maui Hawaii and the Vice President of the Valley Isle Road Runners on Maui. My goal is to have a new episode each and every week. I know you have a choice of several excellent podcasts and hope you will subscribe to "Feel Good Running" and keep me on your playlist. And a nice review would be welcome! The following are some highlights from this first Episode! 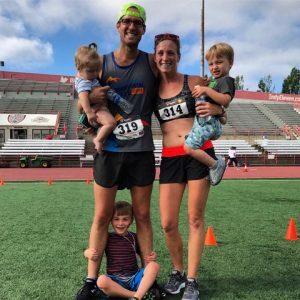 Lindsey Hein is the host of the popular running Podcast, I'll Have Another with Lindsey Hein. I was very honored and humbled that Lindsey was graciously willing to interview me on my inaugural Podcast. With an extensive running resume, in addition to her weekly podcast, she is also a running coach, a public speaker and the mom to four boys. She has added her voice to the running community through her podcast; named as one of iTunes' "New and Noteworthy" podcasts. Lindsey has interviewed some of America's most influential and accomplished runners including Shalane Flanagan, Kathrine Switzer, Deena Kastor and the 2018 Boston Marathon women's winner, Des Linden. Lindsey's laid-back, conversational style has won her a loyal following. What started as a passion project, has turned into a career that she continues to develop and grow. An accomplished runner herself, Lindsey has completed 14 marathons with a personal record of 3:11, and a half Iron Man. She is married to Glenn her husband of 10 years who she often trains and races with. They now write personal training plans! You can find out more about Lindsey on her website lindseyhein.com. And definitely subscribe to her weekly podcast. Thank you Lindsey! It was indeed a treat! I look forward to interviewing you on my podcast in the near future! When Lindsey Hein was interviewing me, she asked what my most memorable marathon was and I was not prepared for what happened. 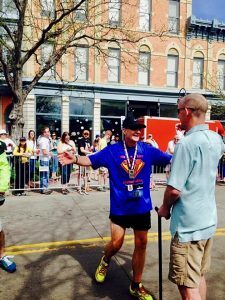 After thinking about it for a bit with so many memories over the years, it came to me that it was my 100th Marathon at The Colorado Marathon in Fort Collins, Colorado. As I crossed the finish line to the cheers of my running friends and spectators, Vince DiCroce was waiting for me. Vince was at the very end of his life, in the final stages of brain cancer that came back after several years in remission. Vince wanted to see me reach my goal of 100 Marathons. He passed away 3 weeks later. When I thought about it, this moment came immediately to my memory and I got choked up during as I was talking about that moment. It humbled me to the core and what was most important was not just completing my 100th marathon, it was that Vince found the energy to see me finish. Vince was and still is an inspiration to many of us and I want to keep his memory alive, every chance I get. You can read Vince's blog, ...And So It Begins Again, which is a journal of when his cancer came back and his thoughts, feelings and journey until the end. 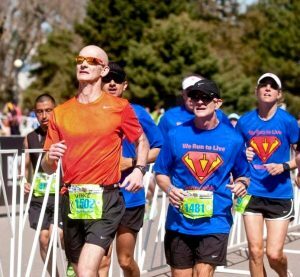 Here is a picture of Vince as he was running his last marathon at the Colfax Marathon in 2013 with all of his running friends including me. We all wore InVinceAble shirts. 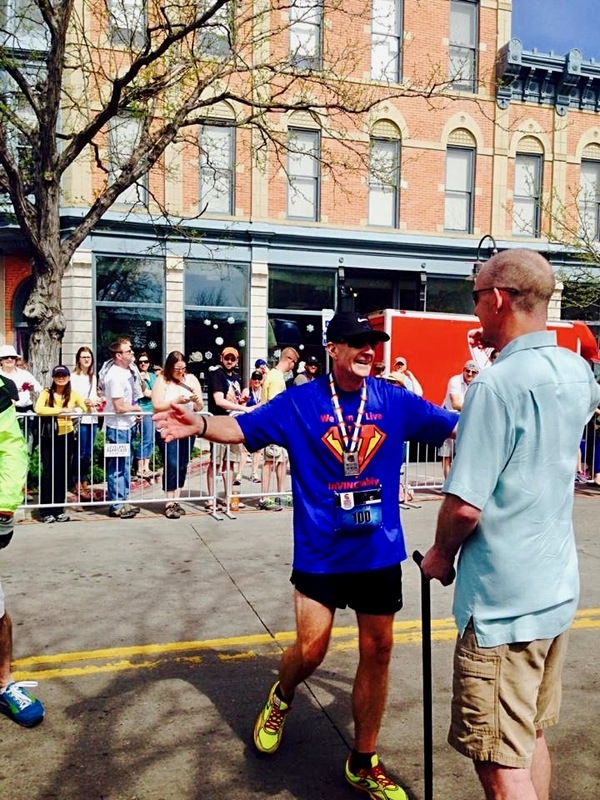 And the other picture is Vince greeting me at the finish line of the Colorado Marathon on May 4, 2014. Vince passed away May 31, 2014. Vince DiCroce finishing the Colfax Marathon in 2013 with his "InVinceAble Running Crew. This would be Vince's final Marathon which he finished in 3:57:40! Amica Insurance Newport Marathon (Formerly Breakers Marathon-Rhode Island) - A much different course than when I ran it as 50th State in 2006. Thanks for listening. Be sure to subscribe to the Feel Good Running Podcast and if you like the show please provide a good review on iTunes or wherever you get your podcasts from that we are available.